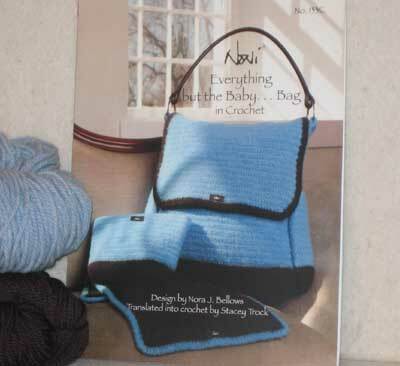 Everything but the Baby is crocheted with a changing pad and and accessory bag. Bag is 15" by & inches at the bottom and 16 inches tall. Changing pad is 26 inches by 16 "